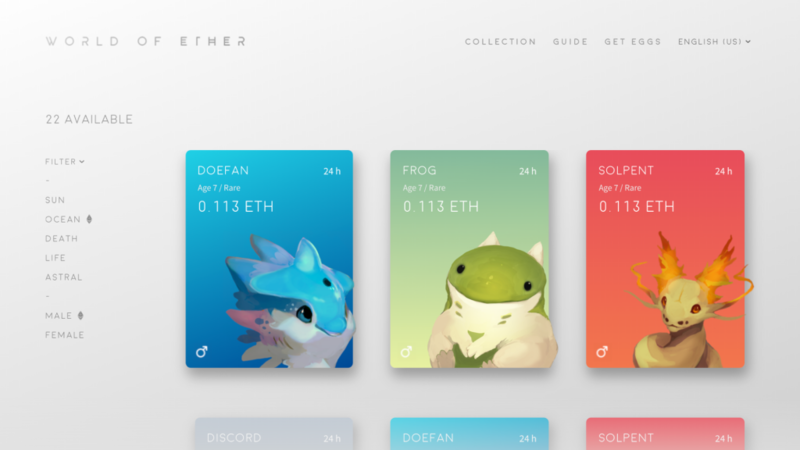 World of Ether is a blockchain-based game that is centered around collecting, breeding, fighting, and selling monsters. 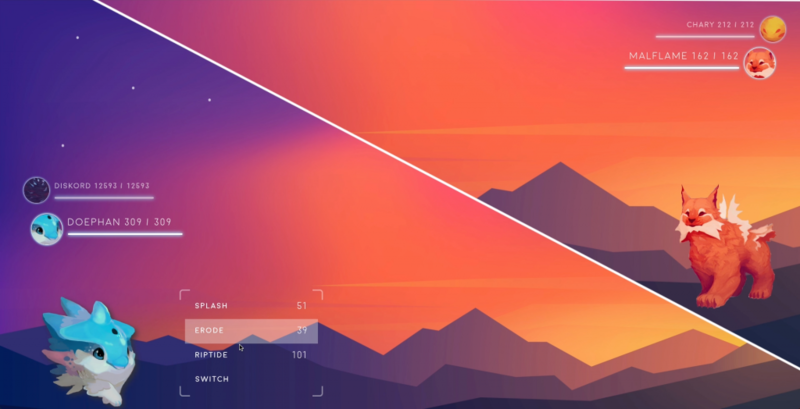 The developers behind the game have created a multi-level rich, interactive world, held entirely on the Ethereum blockchain. WoE is very similar to that of Pokemon, where there are five different ‘types’ of monsters. Each type holds its own advantages and strategies. As well as types, these monsters hold four grades of rarity: common, uncommon, rare, and legendary. Legendary monsters are extremely difficult to obtain but are extremely valuable and powerful. Few players in the game will ever encounter them. However, battling your monsters gives you higher experience in the game and increases your chances of breeding rare monsters. Unlike Pokemon, the monsters in the game don’t level up, the players do. That’s the main difference. Each monster in World of Ether was hand-drawn and created by the game’s artist, Cynthia Williams. This is another feature that makes the game stand out among the rest. Initially, there will be 200 different species of Etherian available for players to obtain. There are two types of ways to earn ETH on World of Ether—siring and selling. Players can sire their male Etherians for ETH or pay to have another player’s male sire with their female. Selling your Etherians is another way to earn ETH in the game. Supply and demand dynamics are the pure judge of price and value in the game’s marketplace. Battling is what fans of the game seem most excited about. Battling in World of Ether is how players gain experience and level up. The battles in WoE are very similar to that of Pokemon. You can attack, heal, or place a counter move to make your opponent miss. Each Etherian monster has a varying range of possible battle points, and even if one has more battle points than the other, the weaker monster still has a chance of winning. To play World of Ether, you will need a MetaMask account and ETH. You can access the game here. To get the latest updates, follow WoE’s Medium page or Twitter account. Check out the first reveal of World of Ether back in May and the team behind the game in the video below.